The hospitales don’t follow a precise standard for the reception, however it deals with structures and places made to welcome the pilgrim provided with regular credential/ Pilgrim Passport. You/they can be simple, but clean and pleasant. VIA DELLA COSTA offers above all a network of religious receptions. 1) the stay is for rule of an only night. 2) the pilgrim doesn’t claim…the pilgrim accepts, thanking; and still: 3) he respects the rules of the place that it entertains him. 4) he leaves clean and in order. 5) he collaborates to the present community activities in the place of reception during the convivial moments. 6) he leaves a trace of himself on the bulletin-board with thoughts and comments. 7) he leaves a suitable offer so that the hospitales covers the cost of survival. 8) smile and thankfulness are the attitudes proper of a pilgrim. The points of reception are listed also in every step. La Trinité: Sanctuaire de Notre Dame de Laghet (R) – notice is necessary – Credential obligatory – contact phone +33(0)492415059 – 100 beds – dinner – breakfast – price to be agreed. Bordighera: Villa Garnier – “via Garnier”, 11 – notice is necessary – Credential obligatory – apply Sisters of St. Giuseppe-tel.+0390184261833 – meals and accommodation availability – free offer. 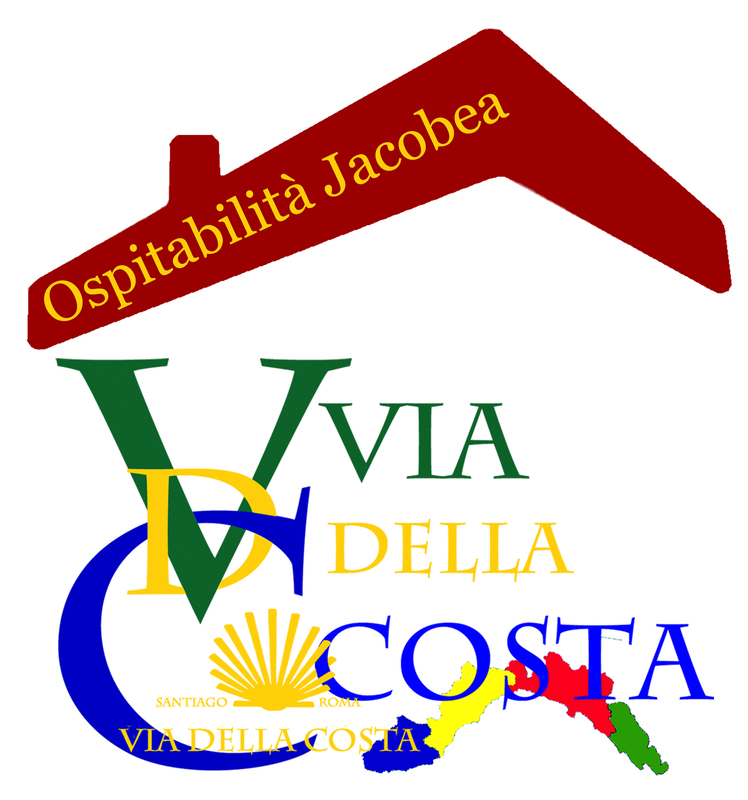 Ospedaletti: Villa Gabry B&B (L) – Strada Termini, 85 – notice is necessary – Credential obligatory – apply Mrs. Monica – tel. 003901841956295 – mob. 00393927854030 – the price for pilgrims with Credential is 20€ for person. San Remo: Associazione Centro Ascolto Caritas (R) – Corso Inglesi, 124 – obligation of notice and credential – Contact Ms Sara from Monday to Friday from 9.00 am to 12.00 am – tel. +390184541111 – +390184505176 – reception center at night n. 13 beds masculine and 4 feminine -. Bussana Vecchia: B&B “Apriti Sesamo” (L)– notice is necessary – Credential obligatory – apply Mr. Stefano Pascucci – mob. +39335231794 – double room 35 € for person, quadruple room e a room of 5 square bed – for three persons 95 € for four people plus 30 € including organic breakfast – lunch or dinner € 15 excluding beverages – for pilgrims instead of breakfast we offer an organic brunch. Taggia: “Convent of Cappuccini” – Via S. Francesco – notice is necessary – Credential obligatory – apply Mr. Giovanni Sarubbi mob.. 3409124760 near City Hall of Taggia – 10 beds – to be provided with sleeping bag – bathroom with shower – cooking possibilities – present 10€. Castellaro: : Former asylum “A. Minoia ” (R) – Via Lampedusa – notice is necessary – Credential obligatory – apply Don Molineris – mob.3406107675 . +393406107675 – 10 beds – to be provided with sleeping bag – bathroom with shower – .notice required throughout the year – free offer. — “La Braia” (L) – Via Mazzini, 5 – notice is necessary – Credential obligatory – apply Mrs. Franca mob. +039338915393, Mr. Secondo Gianmarco mob. +03993355344415 – 3 rooms with 4 beds and 1 double bedroom – the price for pilgrims equipped with credential is – 20€ for person – 15€ dinner. Lingueglietta: “Casa Vacanze Oliveto” (L) – Via San Rocco, 72 – notice is necessary – Credential obligatory – contact phone +039 0183 98340 8 beds and 2 double bedrooms, 3 more single beds and 1 rollaway provided with a bed sheet and a pillow case – cooking possibilities – washing machine – WiFi wireless – the price for pilgrims equipped with credential is 25€ for person. Civezza: Parish “SanMarco, (R) – notice is necessary – Credential obligatory – apply Mr. Giusppe Gusciglio City Hall of Civezza – tel.+390183930190 mob. +0393281462633 – free offer. Torrazza: (Imperia): Rectory “San Giorgio, (R) – notice is necessary – Credential obligatory – apply Father Giorgiomaria Micheri – tel +0390183780005 hours meals – 8 seats – to be provided with mat and sleeping bag – bathroom with shower – present 10€. Imperia Porto Maurizio 3km from Torrazza: Monastery “Santa Chiara” (F.P.) (R) – Via S. Chiara, 9 – notice is necessary – Credential obligatory – apply the Mother Superior – tel +039018362762 – bathroom with shower – cooking possibilities – available all year -Offerta libera. free offer. — “Pensione S. Giuseppe” (F.P.) – Piazza Mons. Marello, 2 – notice is necessary – Credential obligatory – apply Mr. Andrea Anselmi – tel. +39018361547 – price to be agreed. Montegrazie (Imperia): “Sanctuary N.S. delle Grazie” (R) – Via delle Scuole, 12 – notice is necessary – Credential obligatory – apply Don Paul – tel. +39018369305 mob. +393428672773 paulkerner@gmail.com – 3 beds – to be provided with sleeping bag – bathroom with shower – free offer. Imperia Oneglia: Parish Chiesa “Sacra Famiglia, (R) Via Sacra Famiglia – notice is necessary – Credential obligatory – apply Don Paulo – mob.3474272288. +0393474272288 – 3 beds – to be provided with sleeping bag – bathroom with shower – free offer. Diano Calderina: Presso la Chiesa di S.Diano Calderina: Church “San Giacomo” (R) – notice is necessary – Credential obligatory – apply Giacomo, Don Luca – Tel. 3332330291Don Luca – mob. +0393332330291 – 8 beds – to be provided with sleeping bag – bathroom with shower – cooking possibilities -Offerta libera. free offer. Andora 2km from the path: Parish “Cuore Immacolato di Maria” (F.P.) (R) – Via Dei Mille – notice is necessary – Credential obligatory – apply the Parish Priest – tel. 0182285409 +0390182285409 – to be provided with sleeping bag – bathroom with shower – cooking possibilities – free offer. Alassio: Parish “Sant’Ambrogio” (R) – notice is necessary – Credential obligatory – apply Don Angelo De Canis – tel. +039018264057 – to be provided with mat and sleeping bag – bathroom with shower – cooking possibilities – free offer. Albenga: Hospital Via della Costa (L) – Regione Rollo 16b Via Romana – notice is necessary – Credential obligatory – apply Mr Daniele mobil +39345 8891097 – +393403734270 – gabriella_caratti@libero.it – is available a caravan with 6 beds – to be provided with sleeping bag – bathroom with shower – washing machine – relax in the garden – free offer – dinner € 10 – possibility shuttle service from and for the historic town of Albenga. Loano: B & B “Simotta” (L) Pza Valerga, 8 – notice is necessary – Credential obligatory – apply Mrs. Paola mobi +0393427534926 and Mr. Carlo mobil +0393387059825 – 2 double rooms with the possibility of one rollaway, supplied with sheets, towels and bath products – including breakfast – the price for pilgrims equipped with credential is 50€ for a double + 10€ for a rollaway – duringt July, August and Christmas holidays added to the price of 20€ double – closed from 10 January to 28 February. Verezzi: A Topia SAS (L) – Via Roma,16 – notice is necessary – Credential obligatory – apply Mrs Serena – 4 bedrooms+ 2 – tel +39019616905 doppia 60€ includes breakfast – dinner 25€ – 10% discount for pilgrims equipped with credential. Savona: “Episcopal Seminary” (R) – località Villetta Via Leopoldo Ponzone, 5 – notice is necessary – Credential obligatory – apply Mr. Moreno Vallarino – cell. +393492635128 seminario@diocesisavona.it – price to be agreed. — Convent of Frati Cappuccini (R) Via San Francesco D’Assisi, 16 – notice is necessary – Credential obligatory – apply Father Vittorio, Mr. Alfio e Mrs. Mary – tel. +39019827229 phoning in the morning – 50 beds – the price with sleeping bag is 18 € it includes dinner and breakfast – the price of 20 € it includes sheets, towels, dinner and breakfast. — Casa delle Giovane (R) – Via Rossello, 3 – notice is necessary – Credential obligatory – contact phone +39019812147 – only women – price to be agreed. Arenzano: “Suore Pietrine Villa Sacro Cuore” (R) – Via Cesare Battisti, 4 – notice is necessary – Credential obligatory – apply Mother Elena tel +039010 913 161 pietrine@hotmail.it – 19 beds – bathroom with shower – kitchen use – the price for pilgrims equipped with Credential is 25€. GE-Voltri: “Suore Itineranti di Villa Galliera” (R) – notice is necessary – Credential obligatory – apply the Mother Superior – tel. 0106136501 mob. +0393397193880 – 5 beds – including food – to be provided with sleeping bag – bathoom with shower – laundry – suitable offer. Genova: “Convento di San Barnaba” (R) – Piazza di San Barbara, 29 – phone +39 010 27 22 829 – email: pgv@cappucciniliguri.it – notice is necessary at least two days before – Credential obligatory – max capacity. 20 persons – if the premises were already occupied you can not guarantee hospitality – to be provided with mat and sleeping bag – The two rooms available are those of the bivouac ,where to sleep on the floor, with bathrooms, kitchenette and air conditioner for heating – donative. GE.Quarto: Arcipretura-Plebana – Parish “San Giovanni Battista” (R) – Via Prasca, 64 – notice is necessary – Credential obligatory – apply Don Francesco Di Comite – tel.+039010388324 mob. +0393484740308 sangiovanni64@gmail.com – to be provided with sleeping bag – bathoom with shower – donative. Camogli: Monastery “San Prospero of the Padri Olivetani” (R) – Via romana, 59 – notice is necessary – Credential obligatory – apply the Father Superior – tel. +0390185770131 – price to be agreed. Leivi: (the locality is off track to reach by bus) “Sorelle Povere di Santa Chiara” (R) – Via 1° Maggio, 26 – notice is necessary – Credential obligatory – apply the Mother Chiara Gioia – Phone +0390185319689 – donative. Chiavari: Ostello Aig “Camping al Mare” (L) – Via Preli, 30 – notice is necessary – Credential obligatory – contact phone fax +0390185304633 – € 30 bungalow with 2 beds € 50-52 bungalow with 4 beds, open from April to October. Framura-Loc. Ravecca: Nuovo Ostello “Perla del Levante” (L) – notice is necessary – Credential obligatory – contact phone tel. +390187823035 – mob +393396109867 info@perladellevanteframura.it – 27 seats bed – the price for the pilgrims equipped with Credential is € 24 + 1 city tax – including bed linen, towels and breakfast – restaurant service. Bonassola-Fraz Montaretto: “Le scuole Nanni Scarrà” (F.P.) (L) – Via Del Campo, 14 – notice is necessary – Credential obligatory – apply Mrs. Katia e Silvia mob. tel: +0390187814414 mob.+0393336950547 – price to be agreed. Levanto: “Ospitalia Del Mare” (L) – Via San Nicolò, 1 – notice is necessary – Credential obligatory – contact phone +0390187802562 fax +390187803696 ospitalia@libero. it www.ospitaliadelmare.it – 60 beds with blankets and sheets € 18/30 – including breakfast – 10% discount for pilgrims equipped with credential. Soviore (Monterosso): Sanctuary “N.S. di Soviore” (R) – loc. Soviore, 2 – notice is necessary – Credential obligatory – apply Mother Gina – tel. +0390187817385/+0390187817470 fax +0390187817097 info@soviore.it – to be provided with sleeping bag – the price for pilgrims equipped with credential is 15€ – dinner 12€. Madonna Di Reggio (Vernazza): “Hospitality in the rectory of the Sanctuary” (R) – notice is necessary – Credential obligatory – apply Mr. Alberto – tel.+390187812273 mob. +393460892624 – 25 beds – be provided with sleeping bag – bathoom with shower – to request the sheets – kitchen use – for dinner reservations – minimum bid 10€. Loc. Strà (La Spezia): Monastery “Benedettino S.ta Maria del Mare” (R) -Via Montalbano 135/B – notice is necessary – Credential obligatory – apply Mother Maria Teresa – tel.+390187711332/40 – 40 beds with blankets and sheets – 20€ including dinner and breakfast – lunch 10€ – single room 30€. Sarzana: Parish “San Francesco d’ Assisi” (R) – Via A. Paci,8 – notice is necessary – Credential obligatory – apply Don Renzo, Mrs. Carla – phone +0390187 620 356 – 20 seats with mattress and blankets – to be provided with sleeping bag – bathroom with shower 2€ – offer 5€.– Istituto La Missione Via Carducci , 5 – notice is necessary – Credential obligatory – contact phone 0187802562 tel. +390187620240 +3901876112718 – 20 seats with camp bed – to be provided with sleeping bag – bathroom with shower – dinner end breakfast 5€ – overnight stay donation. — B&B Il Pappagallo-(L) Via Brigate Muccini, 136 – notice is necessary – Credential obligatory – contact phone +039 0187625138 mob. +039388396537 – for pilgrims equipped with a Credential €30 single bedroom, €50 double room including breakfast.